We also should have Putin female condoms. “When you know he will get in anyway”. 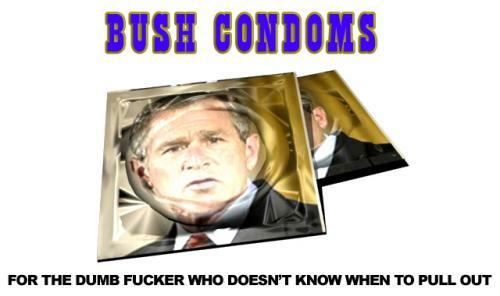 Completely ignoring the Bush part of this… Pulling out does not equal Birth Control. Knowledge is power! Always fun to see mocking of people better educated and more intelligent than the ‘mock-er’. Out of curiosity though, how come gore gets a hall pass on intellect? Or that congressman worried that Guam might flip over?